“It is high time that Burman was recognized by the prestigious Bharat Ratna award. We have written to the PM and requested his attention”, nephew of SD Burman said. Mission Janajagaran is a civil society movement aiming recognition for eminent personalities of Tripura and looks over for basic services to people. A Tripura civil society has demanded posthumous Bharat Ratna for music maestro Sachin Deb Burman, who was a prince of Tripura’s Manikya dynasty. The organisation has written to Prime Minister Narendra Modi seeking the prestigious Bharat Ratna award for the late music maestro. “The whole nation still feels enchanted and rejuvenated with the vivid immortal creations of melody king of all times and legendary character of the music world… SD Burman. His compositions have been sung by singers including Lata Mangeshkar, Md. Rafi, Geeta Dutt, Manna Dey, Kishore Kumar, Hemant Kumar, Asha Bhosle and Talat Mahmood,” Mission Janajagaran founder Prasenjit Chakraborty said. Mission Janajagaran is a civil society movement that aims to get recognition for eminent personalities of Tripura. 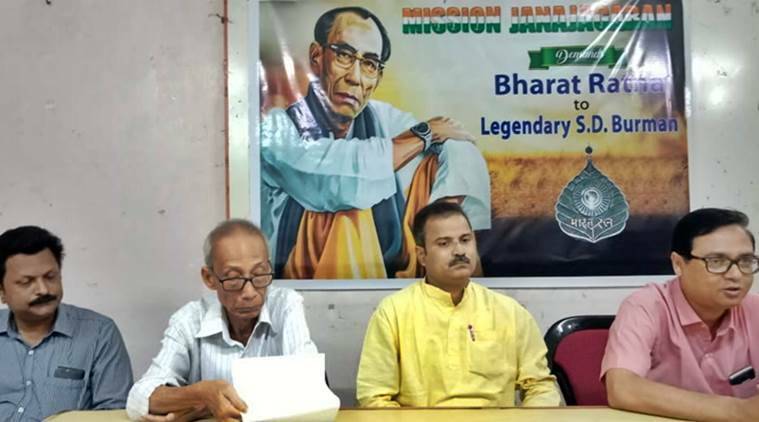 80-year-old Kumar Ankur Debburman, a descendant of Tripura’s Manikya dynasty and nephew of SD Burman, said Tripura had come to be identified by the music maestro in more ways than one, but he feels that not enough was done to recognise contributions of Burman to the music industry and national integration. “It is high time that Burman was recognised by the prestigious Bharat Ratna award. We have written to the PM and requested his attention,” he said. SD Burman was born on October 01, 1906, in Comilla (in present-day Bangladesh) which was then in Bengal Presidency, to Rajkumari Nirmala Devi and Rajkumar Nabadwipchandra Debburman, son of Maharaj Ishan Chandra Manikya Debburman. The Government of India had earlier introduced a postal stamp in honour of SD Burman in 2007.